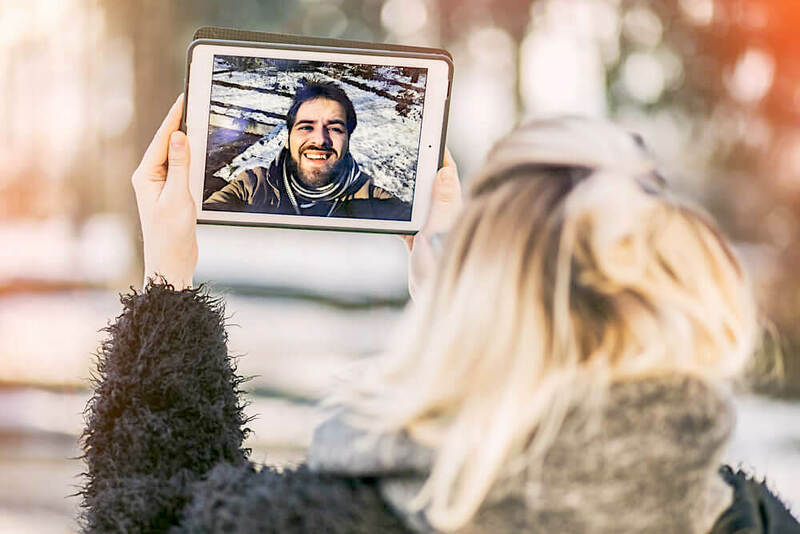 Long distance relationships can definitely be difficult, but new research actually shows that couples who live apart are more likely to share meaningful thoughts and feelings with each other than couples who see each other every day. While this may be the case, there is no denying that a long distance relationship brings with it a complicated set of challenges. In order to help your relationship thrive, here are ten tips to follow. One of the very first things that you should do when committing to an LDR is to establish some ground rules. It is so important that both you and your partner are on the same page when it comes to expectations, as this is an area that can often cause quite a few problems. There are quite a few aspects of your relationship that you can set some ground rules for, but begin by discussing exactly how exclusive the two of you are. There are so many different types of relationships out there, from the monogamous to the polyamorous, so you need to decide from the start whether or not you are exclusive, or if it would be alright for both of you to date other people too. Since you and your partner likely do not get to see each other very often, it is so important that you keep up with regular communication. While you do not want to be bombarding your partner with messages through the day, it is still important to share some of the more mundane details of your life, as these are what you would be discussing if the two of you were physically together at the end of each day. Whether this may be about what you ate for lunch, or something that annoyed you on the way home from work, do not be afraid to share these parts of your life with your partner. Just because you and your partner are not physically in the same place does not mean that you cannot still arrange a weekly date night. Weekly date nights are so important, because they require both of you to proactively make time in your schedules for each other, in the same way that you would do if you were physically nearer to your partner. They can really help the two of you to bond, while learning more about each other, both of which are so important in order for any relationship to thrive. When you and your partner communicate, you will both be at the slight disadvantage of not being able to properly read each other’s body language. 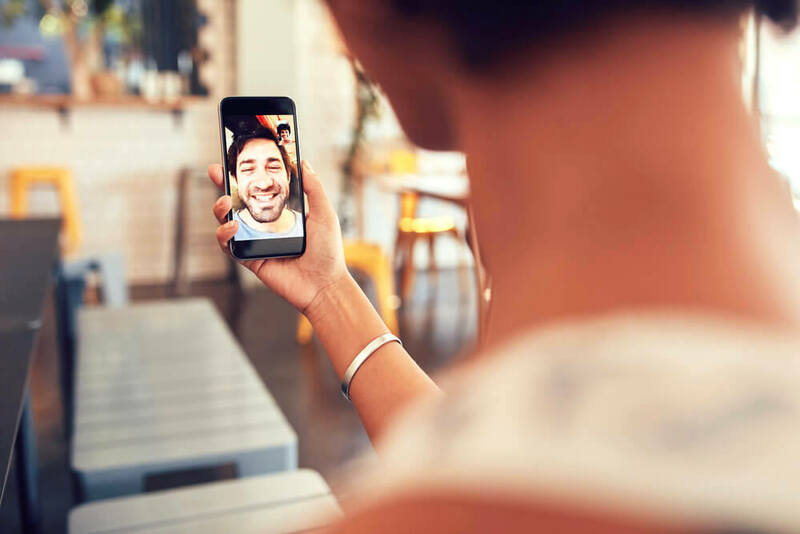 Even if you are talking via video chat, there are still so many subtleties that will be missed, which you would have otherwise caught if you had been talking in person. It is impossible to look at a message or email and interpret the full range of emotions that are behind it. This means that, if you or your partner have something on your mind, it is so much harder for the other person to actually figure out that there is something wrong. Just speak up. Whenever there is something bothering you, you need to tell your partner about this in a clear and concise way, so that there is no way that your thoughts and feelings can be misconstrued. What happens if you keep quiet? All of your emotions will end up festering inside you, leading to you feeling everything from anger to resentment deep down inside. As you can imagine, this is in no way healthy for any type of relationship, let alone a long distance one. You may also end up blowing up at your partner in anger at some point in the future, leading to an unnecessary fight, when you could have just explained your feelings calmly from the start. In addition to being able to speak up when something is bothering you, you also need to work on your listening skills, so that you can be an attentive listener for when your partner is speaking up to you. The key here is active listening, which means that not only are you listening to the actual words being said, but also to the complete meaning behind them. This is actually quite a skill, and some pick it up naturally while others need to work on it, but, no matter how easily this may come to you, you can likely still always improve on your active listening skills. It does take a fair bit of concentration to become a good active listener, but this is something that can really either make or break a long distance relationship, making it well worth taking the time to work on. There will be many “big things”, such as anniversaries and birthdays, in your relationship that you know you need to remember. However, there will also be many “little things” too, and when you remember these, they can often mean so much more than the big things. Wondering what these little things are? Anything from text messages to say good morning to randomly sending flowers or a small parcel in the mail to your partner. These may seem like small and insignificant gestures, but these little things really help to hold any relationship together, but especially a long distance one. Knowing when you and your partner are going to see each other next can really help the both of you to get through the difficult times of being apart. If you can, try to schedule this in regularly. Every three weeks, or every six weeks, is a routine that you can stick to for years if necessary. If work or other commitments do not allow for this, then the next time you see your partner, make sure you schedule in a visit before that one ends. Having an end in sight for your time apart will definitely help to make that time much easier to bear. When you are in a long distance relationship, there is so much pressure placed on to the small amount of time that you do get to spend together. Since this time is so limited, it is only natural that you will both want it to be as perfect as possible. Relationships are never perfect, and every relationship, whether it is long distance or not, will have its ups and downs. With this in mind, it is only natural for the two of you to have some issues during some of your visits, while others may actually be pretty close to perfect. It is so easy to sit around and wallow in loneliness, thinking about how much you miss your partner. But this is definitely not a healthy way for you to be spending your time. Being in a relationship can often be quite time-consuming, but the fact that you are in a long distance relationship means that you will still have quite a bit of time on your hands. Try to use this in a productive way as much as possible, making the most of this precious time. Not only is this a much more productive use of your time, but you will also have so many new things to talk to your partner about. Since you and your partner live apart, it is likely that your lives differ quite a bit. You may even live on opposite sides of the world, experiencing completely different cultures, as well as being in a different time zone. In a long distance relationship, it is always useful to be aware of your partner’s schedule, from the time that they usually wake up in the mornings to the time that they are at work to the time they usually go to bed. In addition to this, you should also be aware of any events going on in their lives, whether this may be a business trip or meeting, or an exam or interview. Rather than messaging your partner at an extremely busy time, you will know to wait until later, when you will receive a better response and will not risk stressing your partner out further. There is no denying that it takes so much effort to make a long distance relationship work, but there are upsides to this too. Long distance relationships teach you so much, about everything from communication to being independent, and while they may often not be ideal, it is still possible to build a strong foundation for your relationship for the future. This entry was posted in Lifestyle and tagged date night, healthy relationships, living, long distance, relationship, relationship advice, romance.